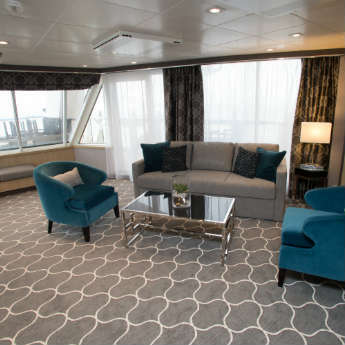 Harmony of the Seas has been the hot topic of conversation for cruise buffs for the past year, and this eagerly-awaited ship has finally set sail on its first trip! Before its official maiden voyage, icelolly.com were lucky enough to be invited to spend a weekend on the ship, and we had a fantastic time exploring all that Harmony of the Seas has to offer. There are tons of amazing facilities that we’ll be covering in more detail over the next few weeks, but we’re going to start off with the 5 most amazing features that you won’t want to miss! 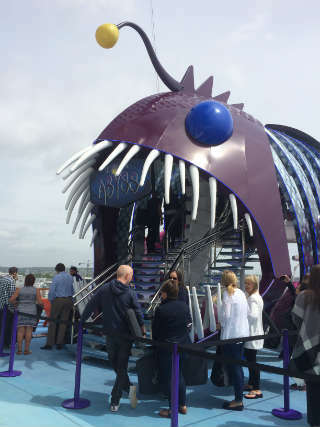 Ultimate Abyss is Harmony of the Seas’ real wow-factor feature, a stomach-flipping slide that drops you down a steep spiral from Deck 16 to the boardwalk on Deck 6. We could feel the apprehension growing as we queued up, listening to the screams of those plummeting down the 72-meter slide, and got an extra shock when we stepped forward to ride the slide and found a glass platform below our feet. The ride itself is a thrilling journey that’s over too soon – just don’t forget to scream extra loud for the benefit of those in the queue! Ever had your cocktails served by a robot? 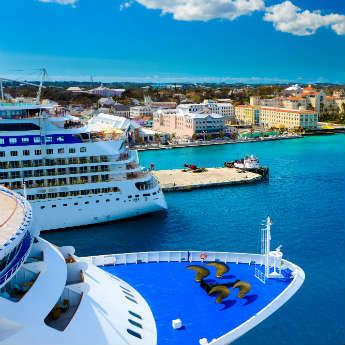 After a trip on Harmony of the Seas you’ll be able to answer yes! 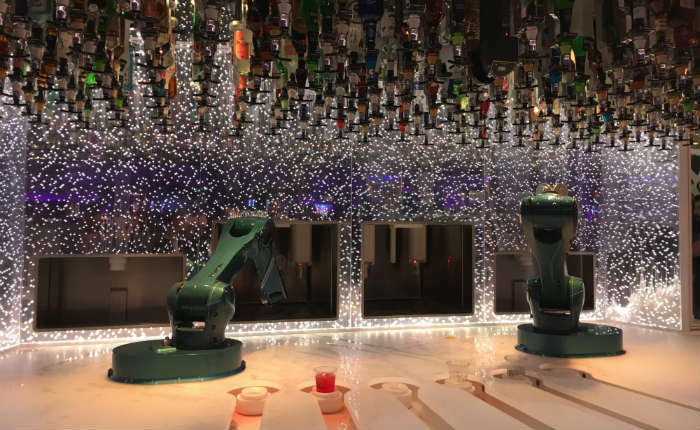 Bionic Bar will be familiar if you’ve ever travelled on one of Royal Caribbean’s Quantum Class ship, but now you can experience this cutting-edge Quantum Class technology on harmony of the Seas! Choose your drink on one of the tablets installed on the tables, use your ship card or wristband to pay, and watch as a robot arm on the illuminated bar mixes your drink for you. Boards at either side of the bar inform you of the wait time, and chart all orders so you can track when your drink is being made. 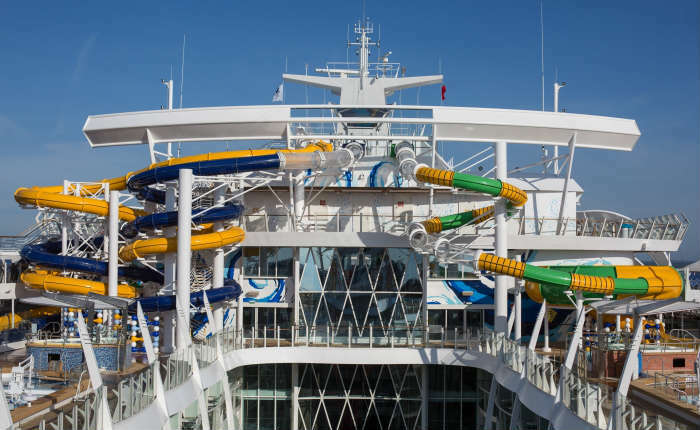 Harmony of the Seas is the first Royal Caribbean ship to have water slides, and it’s gone big with a trio known as the Perfect Storm. 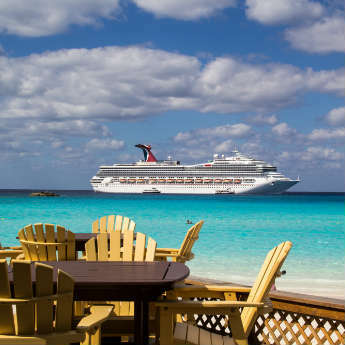 Choose from Cyclone, Typhoon and Supercell, and race two friends down three decks worth of crazy twists and turns before tumbling into a pool at the bottom. Unfortunately when the icelolly.com team were on board the weather was far too chilly to consider stripping down to our swimwear to try them out, but in the sunny heat of the Mediterranean or the Caribbean they’re sure to be great fun for the whole family! 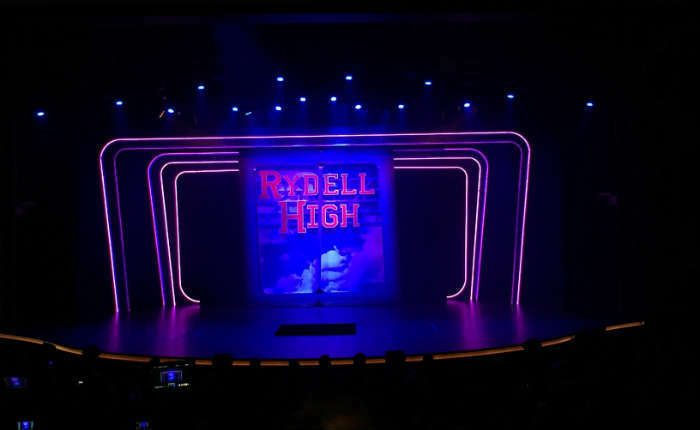 Royal Caribbean has pulled out all the stops with the on-board entertainment, but the most talked-about show has to be Broadway favourite Grease. It was on twice on the Saturday night we were on board to allow everyone the opportunity to see it, and when we took our seats it was clear from the lack of empty seats that it was the most highly-anticipated event of the evening. The cast were full of energy and the audience were quick to join in with the renditions of their favourite songs – we were definitely treated to the sense of fun that makes Grease so popular. 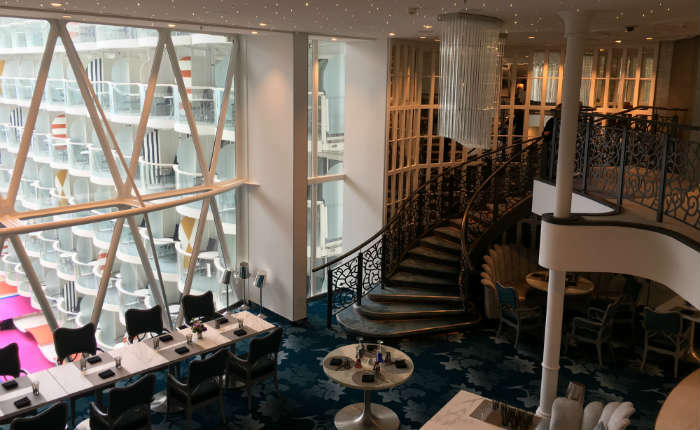 Taking inspiration from Alice in Wonderland, Harmony of the Seas’ Wonderland restaurant is a real trip down the rabbit hole! The décor is the first treat – the two-storey space has a minimalist design of white walls and furniture embellished with colourful crockery, ornate furniture and Alice in Wonderland-themed paintings sketched on the walls. The food focus is on experimental cuisine designed to challenge your taste buds, so go with an open mind and expect the unexpected! We went along to one of the afternoon tasting sessions and sampled egg with a chicken filling and a strong smoky aroma. 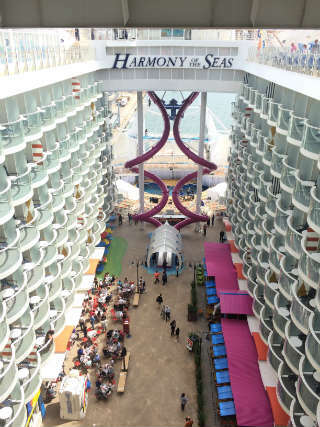 Have you already booked your trip on Harmony of the Seas? Let us know in the comments!